Huawei has launched its new smartphone Honor 8X. it has two rear cameras, bezel-less display, Notch display, 6.5-inch Full HD + display, 3750 mAh battery and many more. 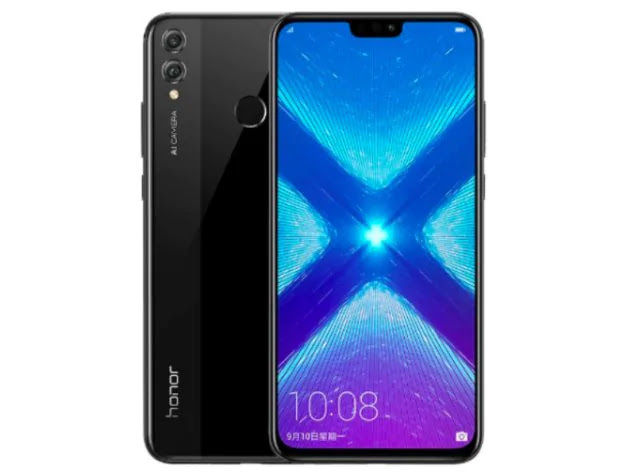 Honor 8X 4GB RAM | 64GB inbuilt storage variant price starts from approx Rs. 14,700. other variants 6GB RAM / 64GB storage price starts from approx Rs. 16,800. Honor 8X price of 6GB RAM / 128GB variants is about 20,000. The Dual-SIM (Nano) Honor 8X runs on Android 8.1 Oreo-based on EMUI 8.2.0. it sports a 6.5 inch (1080x2340 pixels) Full HD + TFT IPS display. Its aspect ratio is 18.7:9. Honor 8X uses HiSilicon Kirin 710 processor. it has a dual rear camera setup. the primary and secondary camera is of 20MP + 2MP. its also has a 16-megapixel front-facing camera. Honor 8x has two RAM and inbuilt storage variants 4GB RAM | 64GB storage and 6GB RAM | 128GB storage. you can increase inbuilt storage up to 400GB via MicroSD card. connectivity options include WiFi 802.11 A / B / G / N / AC, Bluetooth version 4.2, GPS / A-GPS, Micro-USB and 3.5mm headphone jack, its power backup is 3,750 mAh battery.